What we do is only possible thanks to people like you. If you’re passionate about rescuing and restoring children from poverty like we are, then why not get involved? Sign up to our newsletter to keep up-to-date with what we’re doing around the world. Or why not follow us on Twitter and like us on Facebook for up-to-the-minute news on what’s happening? Live in Jersey? Take part in this year's walkathon. 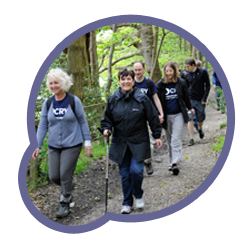 The CRY walk is a fantastic way to make a difference in the lives of children in poverty around the world and raise vital funds for the work of the charity. Click here to find out more! Do you have an eye for adventure? Want to set some new personal goals? Why not raise some money for CRY at the same time? 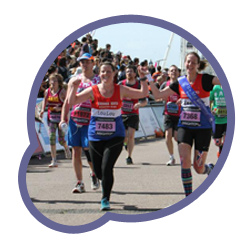 If you’re into marathon running, cycling, swimming, skydiving, bungee jumping, abseiling or anything else, and you’d like to use it as a chance to raise money for CRY then we’d love to hear from you. Get in touch with us and we’ll give you all the information you need to get started. If you’ve got a knack for pulling an event together, then why not run one for CRY? Whether in a home, a community centre or a workplace, people have raised great sums of money by running events for us, including cake sales, dinner parties, open gardens, music evenings and quizzes. The options are only as limited as your imagination - if you want to know more then drop us a line and we’ll give you everything you need to get started. If you’re able to put a collecting tin in your office, shop or school then we want to hear from you. These are a surprisingly effective way of raising money and there are several ways it can work - get in touch and we’ll discuss your requirements with you.